The Tried and True Thunderer with convenient Finger Grip. 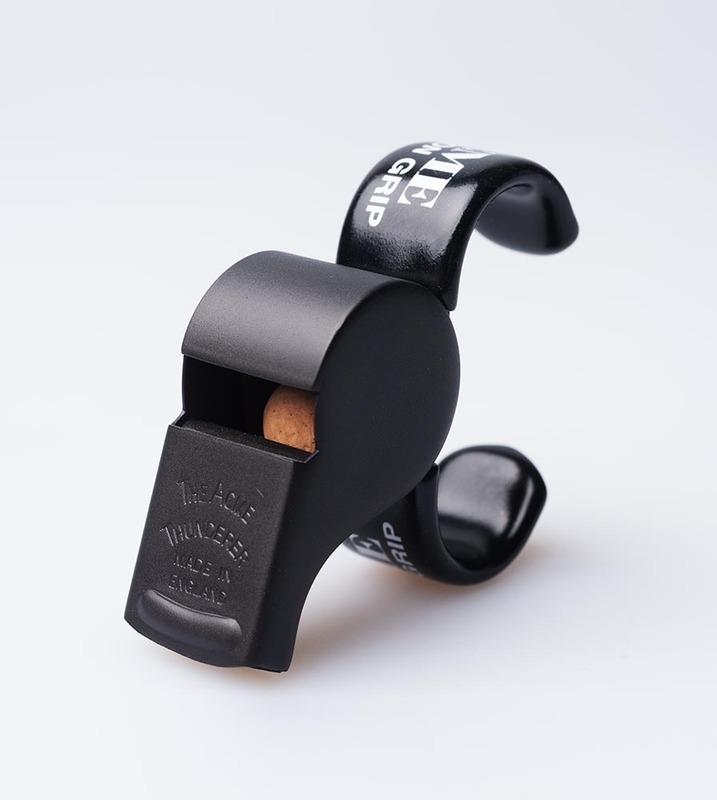 Large whistle with adjustable finger grip and tapered mouthpiece, low pitch. Good for many coaches, especially for swim coaches. Has been used by asthmatics.